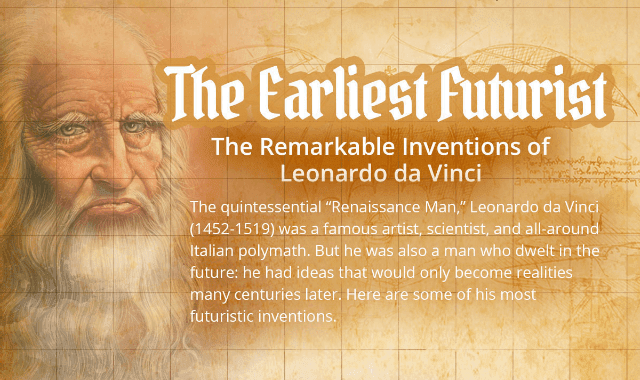 The Earliest Futurist: The Remarkable Inventions Of Leonardo da Vinci #Infographic ~ Visualistan '+g+"
The quintessential "Renaissance Man," Leonardo da Vinci (1452-1519) was a famous artist, scientist, and all-round Italian polymath. But he was also a man who dwelt in the future: he had ideas that would only become realities many centuries later. Here are some of his most futuristic inventions.